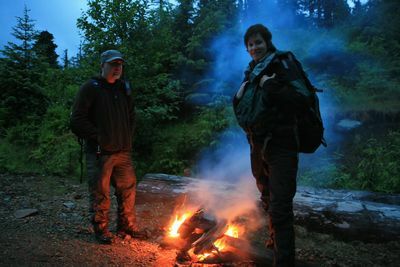 The investigative team from the Bigfoot Field Researchers Organization continues their pursuit of Sasquatches in North America's most notorious Bigfoot hot spots. Renowned Bigfoot hunters Matt Moneymaker and Bobo Fay join forces with Cliff Barackman and field biologist Ranae Holland to authenticate claims of sightings from the forests of New Mexico to the shores of Rhode Island. Their investigations attempt to uncover the truth behind the most riveting Bigfoot encounters ever captured on tape using proven search methods, cutting-edge technology, and radical new techniques in their mission of FINDING BIGFOOT.